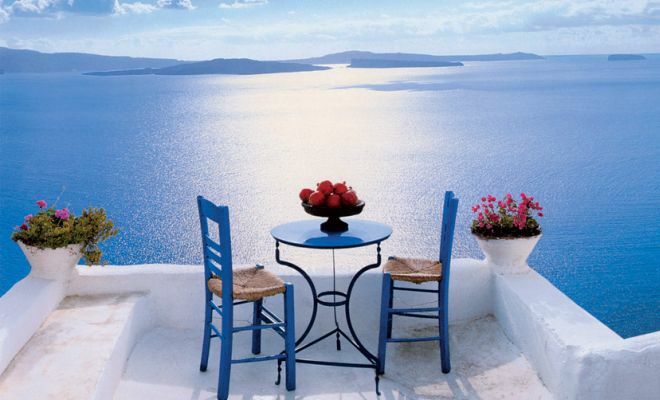 8 night Greece luxury vacation package to Mykonos and Santorini. 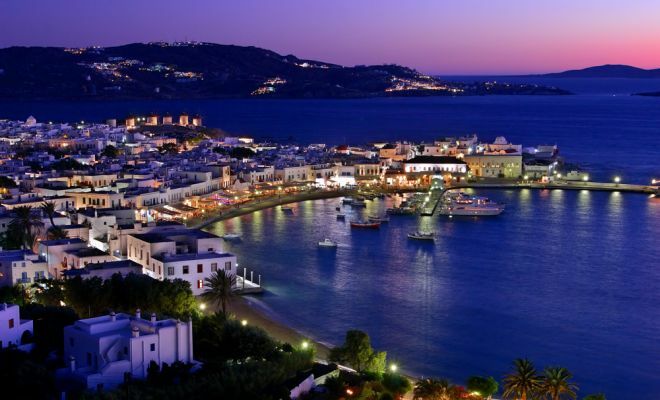 Mykonos is perhaps the most famous island in Greece, renowned for its cubist Cycladic whitewashed houses, white sandy beaches, the iternational jetset, great restaurants, and the beest party scene. 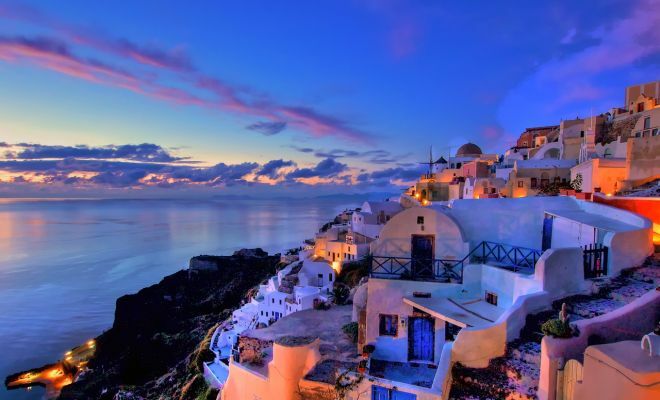 Santorini is the most spectacular of the isles in the Cyclades. 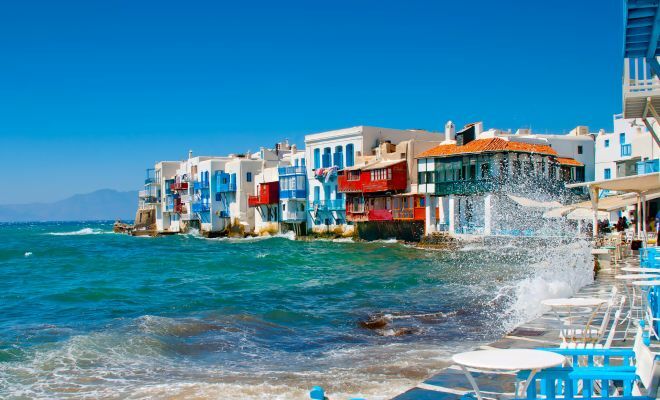 With its brilliant flooded caldera, high cliffs and charming villages, it is the Greek Isle of everyone’s dreams. 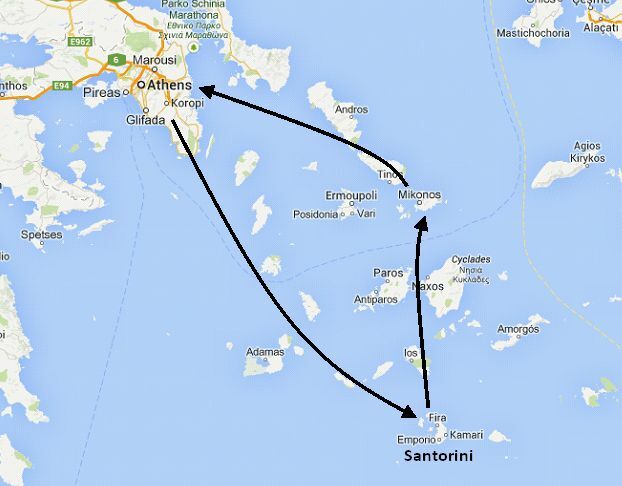 Domestic flight from Athens to Santorini. Upon your arrival on the island, transfer with our assistant to your hotel. Morning free to explore the island. In the afternoon join the 5 hour semi-private catamaran sunset cruise along the caldera. Whilst taking in the striking landscape of the Santorinian sunset you can also enjoy swimming, sunbathing and snorkeling in private bays like the famous volcanic hot springs. 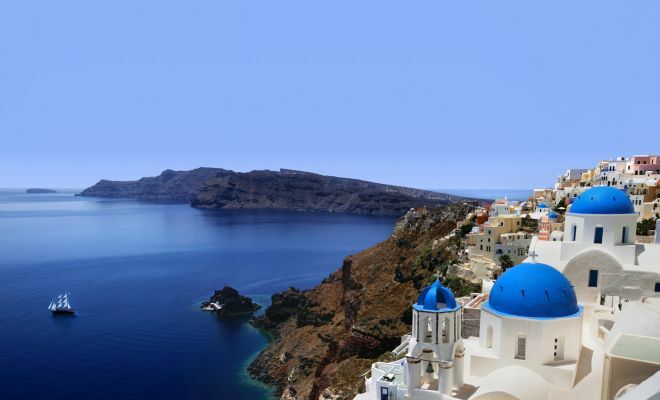 Satisfy your appetite with famous Greek dishes, enjoy a rich barbecue on board, with fresh seafood and taste not only our culinary skills but also the history of Santorini which will amaze you and the cultural diversity which will intrigue you. 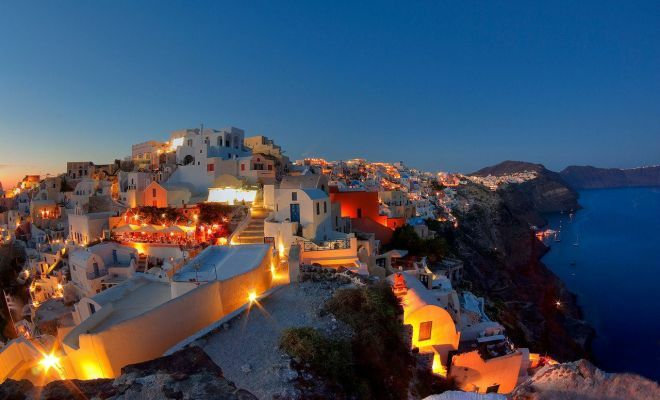 We will visit 2 of the most traditional wineries, taste the white and red varieties, and learn of the Santorini viniculture. It is the volcanic soil in which the indigenous varieties grow, that is responsible for the unique character of the wines. Our last stop is the village of Oia, a traditional Greek village of whitewashed cubes, perched impossibly high on cliffs at the north west tip of the island. 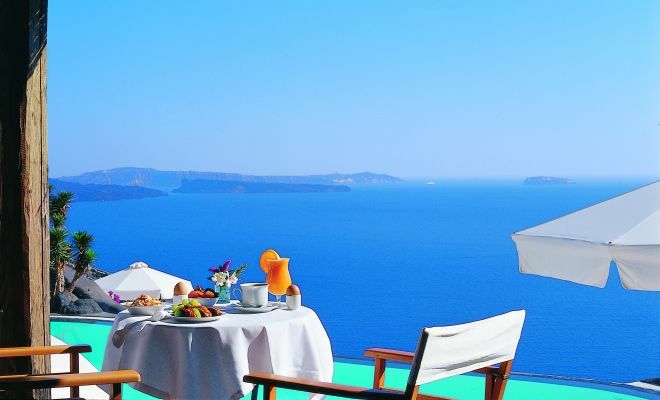 Here, take in the stunning views of the island from one of the charming cafés or stroll above the rooftops of the homes carved into the cliffs and gaze into the deep blue waters of the caldera far below. 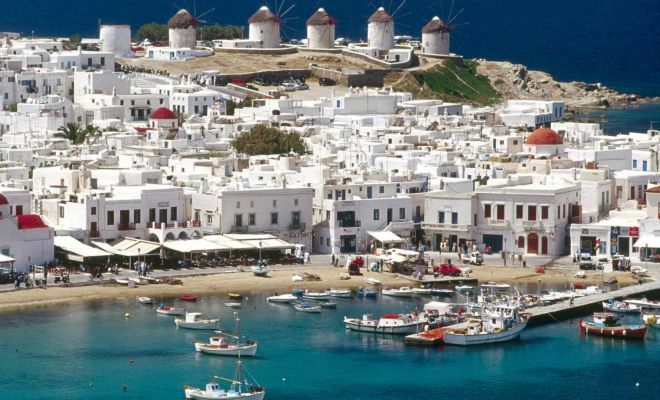 At the indicated time you will be transferred to the port to embark on the high speed catamaran to Mykonos. Upon arrival, transfer with our assistant to your hotel. There is a lot to see: having been inhabited between 2500 and 69 B.C. Delos boasts of many treasures remaining from these rimes like the ancient market place Agora, the famous terrace of the Naxos lions, the holy lake, the ancients living quarters and the theaterhopping that gives you a lively vision of the daily life then; especially the houses of Dionysos, Cleopatra, the Trident, the Masks, the Dolphins with their mosaics are a fantastic experience of art not to be missed.